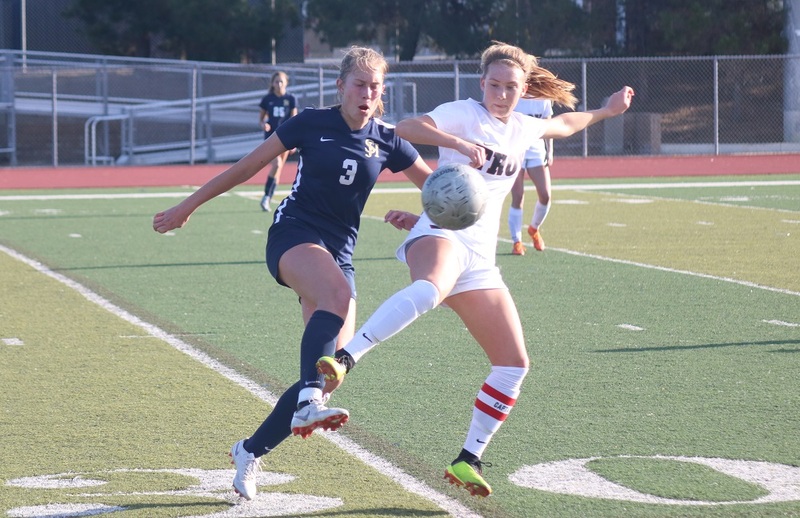 SAN JUAN CAPISTRANO – Another year and another first for the San Juan Hills girls soccer program. 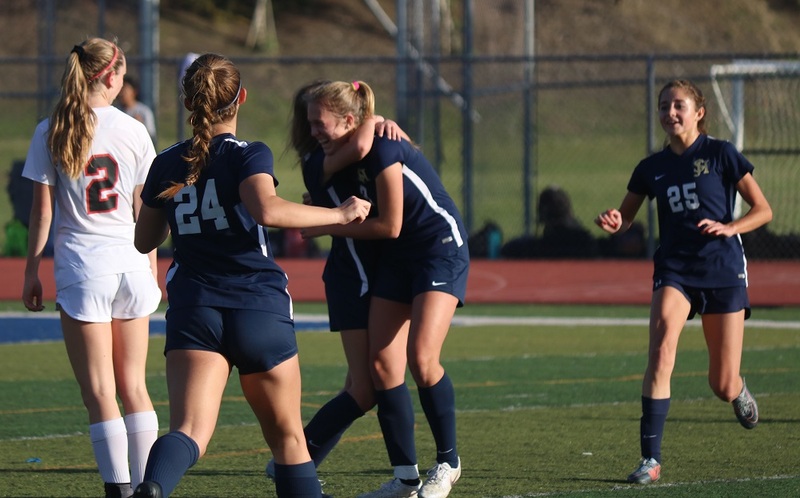 Last season, the Stallions won their first league championship out of the Sea View League, and on Friday, San Juan Hills made school postseason history. 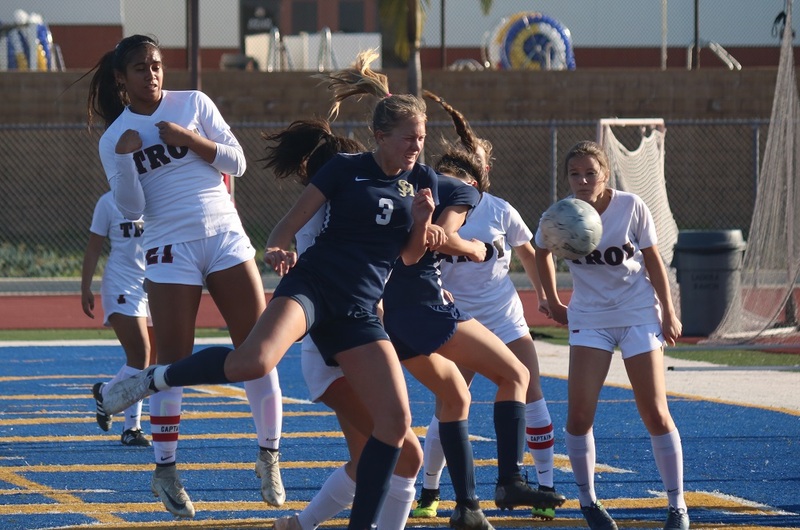 Stallions junior Corinne Hunnicutt struck a ball from 25 yards out off the crossbar and in in the 56th minute to give San Juan Hills the advantage it would need to beat Troy, 1-0, and advance in to the CIF-SS quarterfinals for the first time in program history. 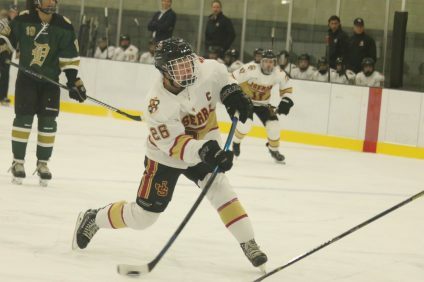 After clinching the Sea View League championship last season and moving up to the South Coast League this season, San Juan Hills has reached a new level with nearly every game. 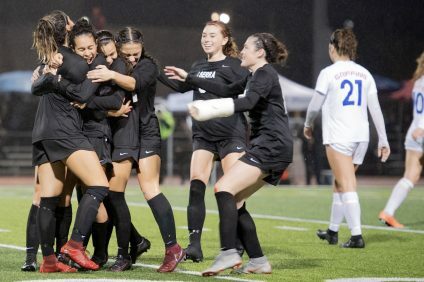 San Juan Hills will host the winner of JSerra-Millikan in the second round on Tuesday, Feb. 12. JSerra, the No. 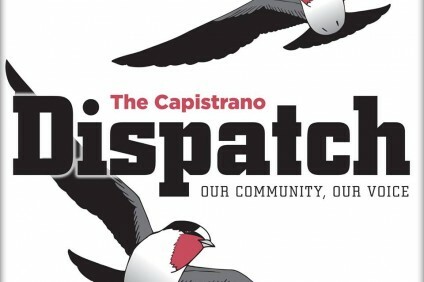 1 seed and back-to-back defending Division 1 champions, are the likely opponent. 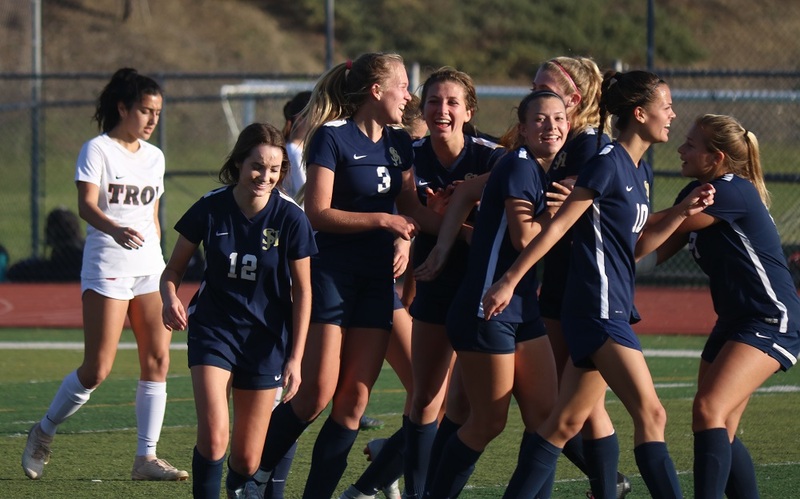 The Stallions opened the season with JSerra at the Beckman Tournament with a 1-1 score at half that led to a 5-1 Lions victory. 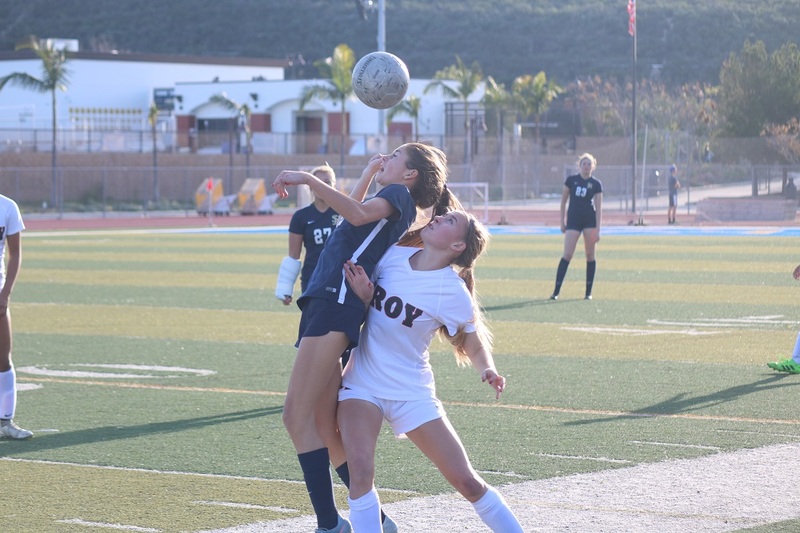 On Friday, the game was played on nearly equal footing between San Juan Hills and Troy. 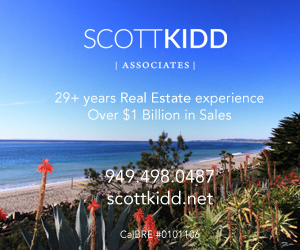 The teams exchanged runs and chances up the field, but both teams were solid defensively. Neither team allowed a truly dangerous chance early. In the 56th minute, the Stallions took a long throw and the ball bounced to Hunnicutt who took a cut. 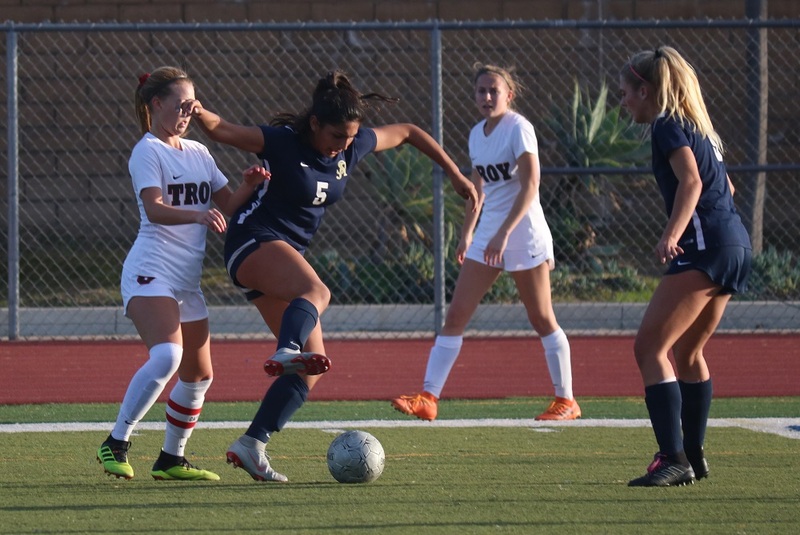 The ball sailed high and just out of the reach of the Troy keeper’s fingertips, off the crossbar and into the net to put San Juan Hills in front. From there, San Juan Hills had a couple more pushes, but the Stallions had to lock down in the final five minutes. 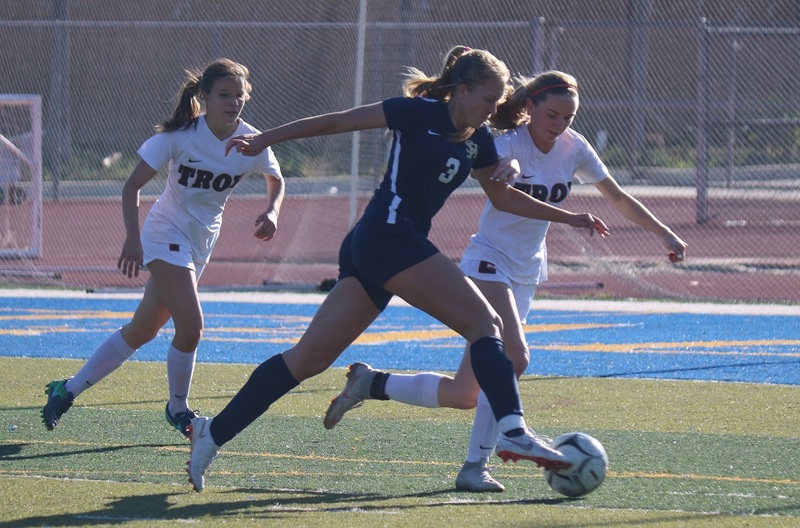 Troy continually pushed the ball forward and sent it into the box, but San Juan Hills blocked out the chances and repeatedly sent the ball back down back down until the final whistle.